Charm & Strange is a debut I've been dying to get my hands on since I first heard about it and despite my high expectations, it didn't disappoint in the least. In fact, I am more than a little bit in awe of Stephanie Kuehn and cannot wait to see what she has up her sleeve for the future. 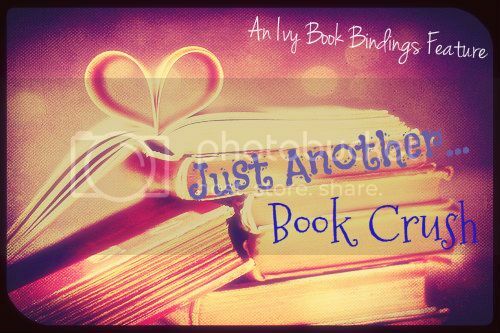 Just take my word for it - this is an author who is going on your auto-buy list for sure and I'm so excited to have her on the blog today! When you’ve been kept caged in the dark, it’s impossible to see the forest for the trees. It’s impossible to see anything, really. Not without bars... Andrew Winston Winters is at war with himself. He’s part Win, the lonely teenager exiled to a remote Vermont boarding school in the wake of a family tragedy. The guy who shuts all his classmates out, no matter the cost. He’s part Drew, the angry young boy with violent impulses that control him. The boy who spent a fateful, long-ago summer with his brother and teenage cousins, only to endure a secret so monstrous it led three children to do the unthinkable. Over the course of one night, while stuck at a party deep in the New England woods, Andrew battles both the pain of his past and the isolation of his present. Before the sun rises, he’ll either surrender his sanity to the wild darkness inside his mind or make peace with the most elemental of truths—that choosing to live can mean so much more than not dying. While I was writing Charm & Strange, I knew I had to be mindful of how I handled the secondary characters in the book. Not only is it a very short novel, but there are dual timelines running throughout the story. This meant I had two casts of characters to manage simultaneously and not a lot of space with which to do that. Clearly, having well-developed secondary characters is important in any story, but for one with this structure, it felt especially crucial that all the characters be distinctive in order for the reader to hold onto who they were as the story shifts through time. 1. If the story is written in the first person, every character that is introduced should have some sort of conflict with the narrator. This conflict can be internal, external, real, imagined, one-sided or reciprocal, but it needs to live and breathe on the page (and it should also be relevant to the story). Having conflict creates both tension and suspense, and it also helps to define secondary characters in ways that are compelling and memorable. Relationships without conflict are easily forgotten. 2. Whenever possible, transform new characters into old characters. I think it’s true that sometimes characters end up in a story simply for plot-related reasons. However, any time one of these roles can be filled by someone who’s already been introduced to the story, doing this will eliminate the distracting mental space and page time it takes to become acquainted with a brand new character. It will also add depth to the character that already exists. 3. This is specific to working with two timelines, but having a sense of dualism between the timelines can be grounding. In Charm & Strange, there’s a triad (the narrator plus two others--one male and one female) in each narrative arc. This triad is symbolic to the story, but its presence also gives added weight and significance to these relationships. 4. Use a secondary character’s backstory to demonstrate something about the main character. Teddy in Charm & Strange is a good example of this. He’s not an important character plot-wise, however he’s mentioned multiple times throughout the book. It’s less what he does, than how the narrator thinks about him that is important. It’s through Win’s resentment of Teddy’s normality (and his apparent anxiety disorder) that we learn more about Win’s own dysfunction. Obviously, these are just a few of many, many strategies that can be used to make secondary characters complex and interesting, given the constraints of a small novel and a particular structure. If you have any of your own tips or approaches that you’ve found helpful, please let me know! I’d love to hear them. These are three very short novels that pack a lot of story and character depth into their pages and prose. Give them a try! 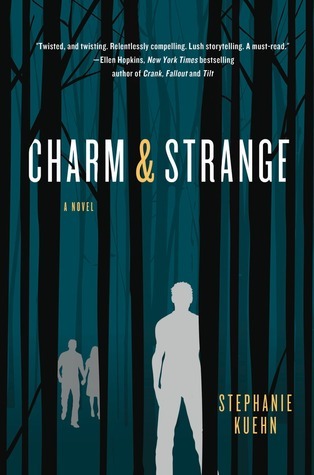 In case you missed it, you can find my review of Charm & Strange HERE. I really do love this meme, Keertana! That's some great advice there, character, primary or secondary mean a lot to me. I still have yet to read Charm & Strange- I'm so excited about it now. I read a lot of posts like this, and most of them are very generic and vague. Stephanie's advice makes a lot of sense and is actually very helpful! I particularly like the second and last points. :) Thanks so much for sharing! This is such a lovely guest post! I'm always looking for solid writing advice, so I think I'll have to bookmark this page, because the advice here is fantastic! Creating secondary characters with a lot of depth is quite difficult, and with different timelines within this book, I can only imagine how much harder it was to keep up two distinct sets of characters! I am loving the advice about having a conflict with every characters, that's something that I've never thought of, yet it seems very valid. I loved this post because I definitely felt those techniques reflected in what I read.